Sometimes you stumble upon something on the highstreet which makes you stop dead in your tracks. 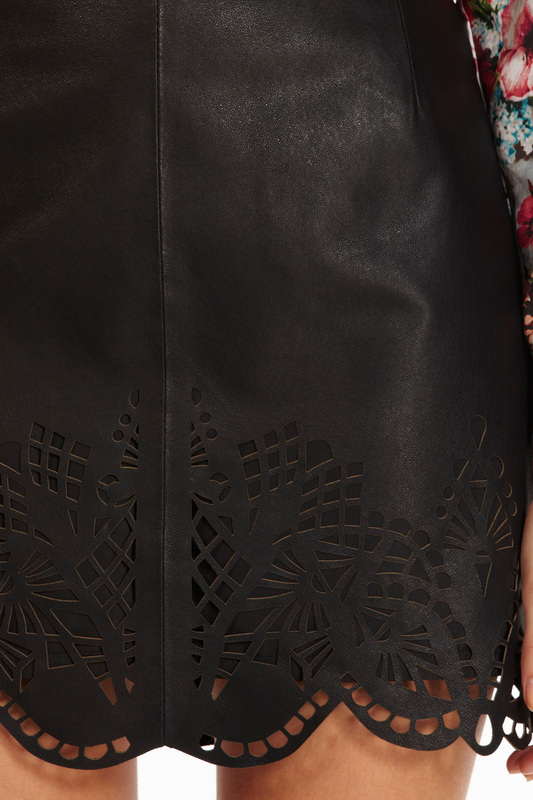 This leather cutwork skirt from Oasis is really exquisite and a real testament to the sheer quality of high street pieces; this could easily be mistaken for a piece from a premium label. As far removed from the questionable quality, fast-fashion side of the high street, the cut of this skirt and the soft leather are simply beautiful while the lasercut detailing makes this much more than a dull wardrobe staple.